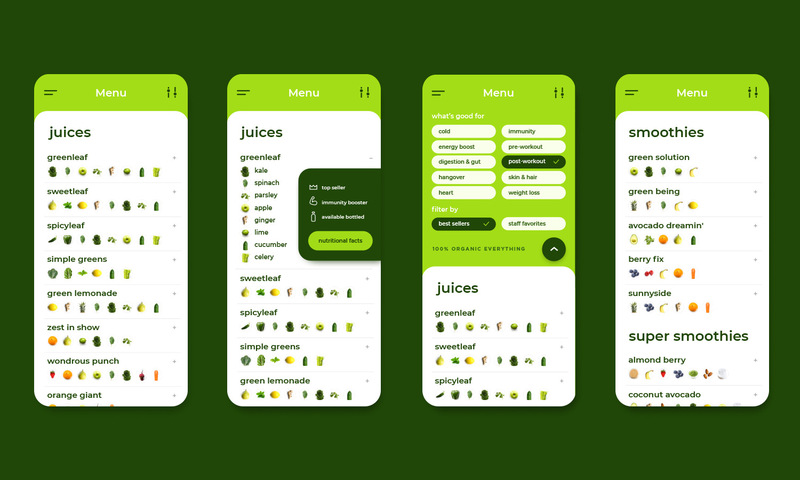 I wanted to create a digital menu for Greenleaf like no other menu anyone has ever seen. We wanted our menu to bring attention to the simple, raw ingredients and – based on customer feedback – we wanted to help simplify decision making through the ability to filter by health benefits, as well as top sellers and staff favorites. A shopping UX concept using Nike.com. I wanted to create a shoppable lookbook using Instagramesque photography. I enjoy the in-store shopping experience because I want to see the merchandise in context – on people and paired with other clothing (vs a shoe on a white background). I also tend to see other clothes on models in product photography that I’m interested in but there’s never an easy way to find out what they are. So I had a little fun putting this prototype together. A play button you want to push. I created a central button in the product UI that pushes security updates and communicates the progress to the user in real time.